Browse our guidelines, find the assets you need and download useful files. Anyone using Vanilla’s assets should only use the logos found below and follow these guidelines. When you’re using our logo make sure you give it some room to breathe. The empty space around the logo should be at least 120% of the width of the logo. To ensure the logo maintains its visual impact, do not go any smaller than 100 pixels wide. These are the two versions of the logo in the 'Vanilla Recruitment Logos' zip file. Jpeg, ai and png files are included. Our brand fonts are Gotham Rounded and Futura​. 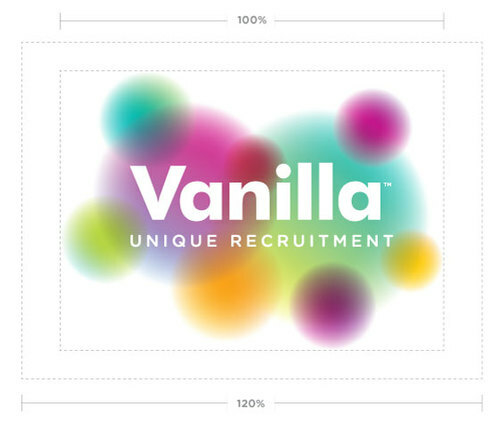 The Vanilla Recruitment logo and brand assets are owned by Vanilla Recruitment (UK) Ltd and by using the resources above, you agree to follow our guidelines. If you have any questions, contact us at hello@vanillarecruitment.co.uk. You may not alter the logo in any way, including, but not limited to, changing the proportion, color or shape of the logo, or adding or removing any elements. You may not use the logo in any manner that implies sponsorship or endorsement by Vanilla Recruitment unless previously agreed. You may not use the logo to disparage Vanilla Recruitment, its products or services. You acknowledge that all rights to the Vanilla Recruitment logo and brand assets are the exclusive property of Vanilla Recruitment (UK) Ltd.
We reserve the rights to modify these guidelines at any time and to take appropriate action against any unauthorized or non conforming use of the Vanilla Recruitment logos. If you have any questions about these guidelines, please contact hello@vanillarecruitment.co.uk.